I’m delighted to tell you that today we have Sarah, eco-warrior, stylish sew-ist, entrepreneur and generally lovely person, on the blog. She has recently opened a sewing lounge in St Kevin’s Arcade, K Road. Without further ado …. Hi Penny, thanks for having me over here to share with you the story of Sew Love! We are truly so lucky to have blogland to connect, share, learn, and become friends with like minded folk from all over the world. I ventured into this lovely world and launched Sew Love just over a year ago, so far it’s been pretty splendid. ‘Twas my wonderful mum who first taught me to sew and I broke most her needles on multi layered denim throughout high school. One day mum said to me ‘you’re not a real sewer until you sew from a pattern’ so I found a pattern and sat to it for the rest of the day – just to prove her I was REAL! I wore these shorts again just the other day, it is such a joy wearing something with a story, history & meaning. Now I am ever so grateful she even took the time to keep her machine in working order and available to teach me on. This is something so many of my generation missed out on…from the 80s onwards it all was about fast fashion. Its tough to think about that monster that is fast fashion. I cringe. Most people turn a blind eye and opt up the excuse that being eco is only for the rich. 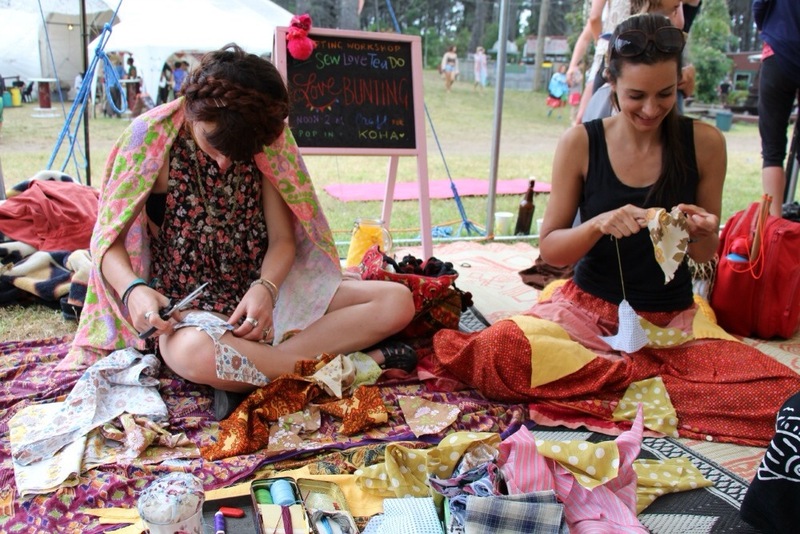 Being eco and ethical can be done on a budget too with up-cycling, and op shops just being the start. This is how I have been living and dressing myself for as many years as I can remember. Everything sewn with Sew Love is 2nd hand textiles: linens & offcuts from other projects. All my machines are 2nd hand too. I try to source all 2nd hand tools and equipment and currently seeking out a few quick unpicks but who gives them up?!?! I launched Sew Love with the aim to encourage and inspire more conscious consumers and to reduce the amount of landfill on our earth. I hope to educate people about how clothing is made, how you might be able to mend something instead of throwing it ‘away’. I set myself up as a mobile sewing school that reaches out into the communities. 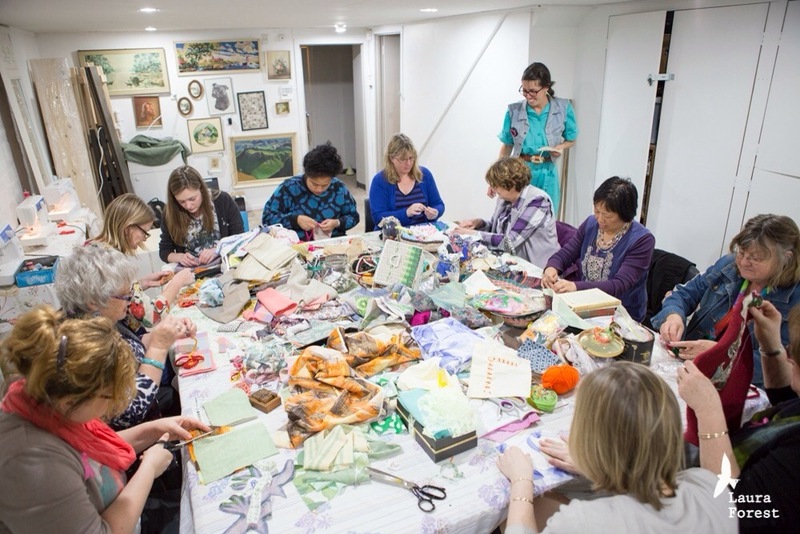 The aim was to get resources and opportunities to people who don’t necessarily have the time, money or space to have their own sewing set up at home. The family of machines and I have visited a number of community centres for sewing lounge days, and up-cycling courses. It has been a thrill seeing how excited people are after they made their first ever project. I also pop up at a few markets too, my favourite being First Thursdays an evening street festival on Kroad. It’s sew lovely to have a table full of people diving head first into the suitcases of colourful fabric scraps. 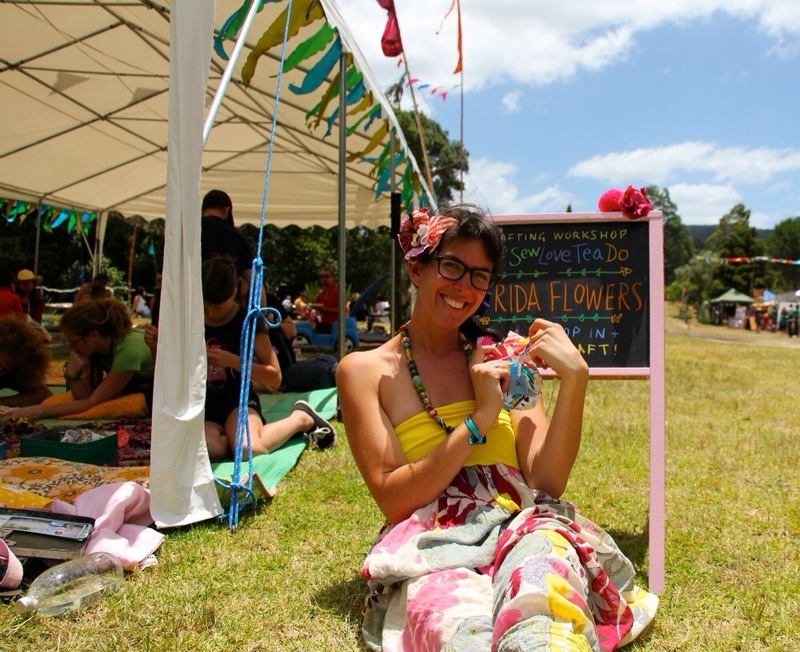 A highlight of the past year was being a part of the arts trail for Splore Festival in February. 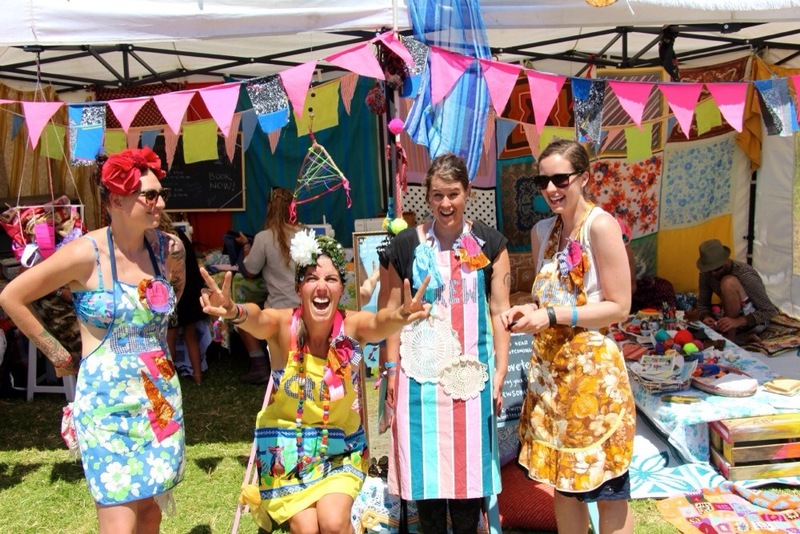 A small team and I set up the costume making and craft zone with workshops to pimp out tents, and festival get-ups like the incredibly popular fabric flower crowns. It was the most amazing place to sew, 10metres from the shoreline, and to the right was the main stage. Heaven! Being mobile has been great. Rolly my amazing little Corolla hatch has been such a star. It never ceases to amaze me how much junk I can fit in that trunk! But continuously packing and unpacking takes it toll and I have always been dreaming of a more permanent space. A place that can keep the bunting up always, a place I can arrange the piles of 2nd hand fabrics, buttons and trims I have been hoarding. A place I can set up warm and friendly to welcome in everyone who wants to give sewing and creativity a go. That dream I have had for many many years, finally has happened right now! It is very very exciting. Sew Love the sewing lounge, is popping up for three months in the quirky, creative, K-road precinct. Historically known for its grunge and red lights, and now that’s been blended with punk, vintage and creative arts. Sew Love fits right in so the locals have been telling me. 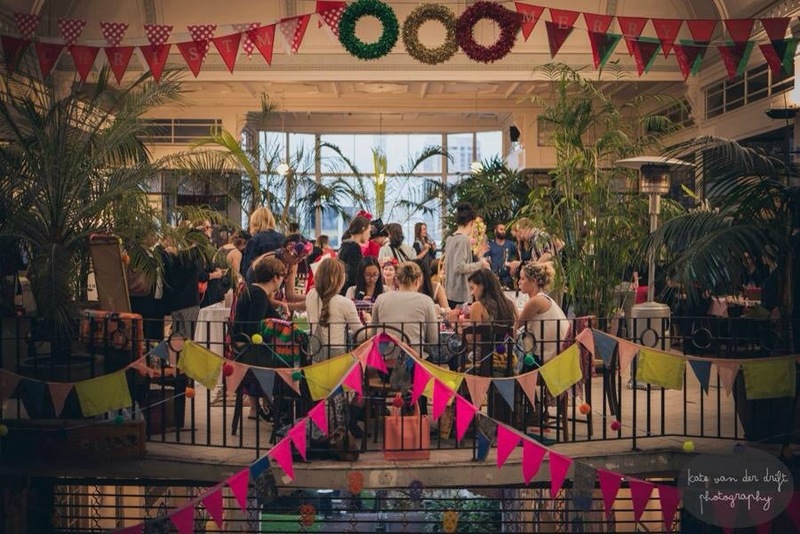 There are sewing machines to rent per the hour, classes, a pattern library and vintage craft books to page over, oodles of 2nd hand textiles, and upcycled products to buy too. Alleluya (a café that has been going 20years strong) is right on our doorstep and you Peter lets you bring your tea and cake into our space to go alongside your stitching. What more could we wish for?! I hope we can stay here longer than three months but it is genuinely up to the community to see whether theres a need and a want for this sort of thing, there’s nothing else like it here in NZ so I am quite literally trying this toile on for size. So far, for lack of any other words I just Sew Love biking to work every day, popping out my little sandwhich board, and sprucing the flowers, smiling and welcoming questions, crafters, and curious george’s peeking in the door. Thank you so much Sarah for taking the time out to visit me on in the blogosphere – I know you are such a busy lady! 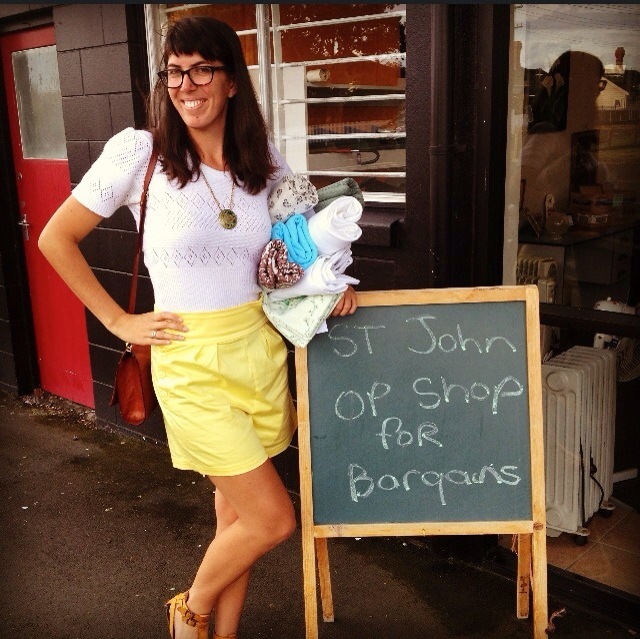 If you are interested in finding out more about Sarah and Sew Love check out her website or just pop into the store at St Kevin’s Arcade, Karangahape Rd, Auckland. 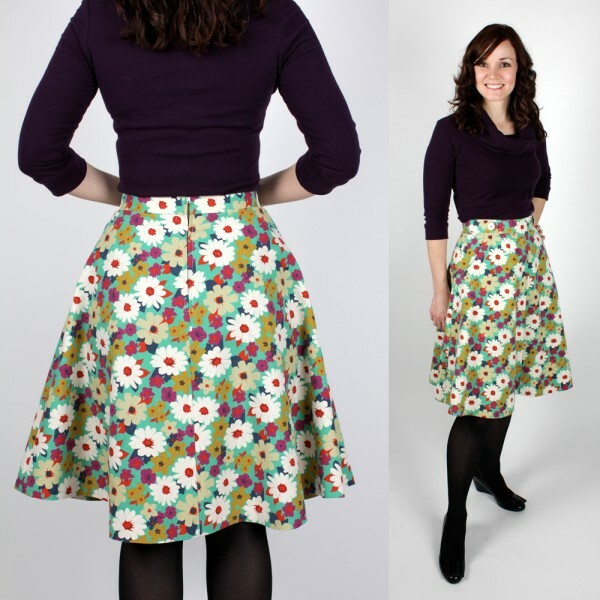 Also – I will be teaching a class at Sew Love called Sew a Simple Skirt with Penny. If you are interested get in touch and make a booking via email. A couple of your patterns such as the Hazel dress and the Roxanne blouse call for lightweight fabrics, which can be difficult to work with. What are some tips for beginners working with these slippery fabrics? When cutting out your fabric, lay the fabric onto a sheet or onto tissue paper. This helps to keep the fabric from slipping around while you cut. Use fine pins or weights such as soup cans. Use very sharp scissors or a rotary cutter. When cutting, handle the fabric as little as possible. Work around your pieces and avoid moving the fabric to work around you. Also, don’t lift the fabric off the cutting surface. Moving the fabric after it has been carefully laid cause it to shift and could result in a wonky cutting job. Always test with two layers of scrap fabric prior to starting the project so you can get used to the hand of the fabric. Make sure that your stitch settings and tension is adjusted for your fabric. Thread and needle: Sew with good quality thread and a thin gauge needle. A needle size of 60/8, 65/9 or 70/10 is suitable. The lower the number the finer the gauge of the needle. Also, If you’ve been sewing with the same needle for a while, it might be a good idea to start with a fresh one so that the tip is sharp. This will help to eliminate puckering and snagging caused by and dull needle. Backstitching: Hold the threads as you backstitch at the beginning of a stitch. This helps to avoid a messy backstitch and prevents the fabric from getting sucked into the feed, which can easily happen with lighter weights. -I find that the way to handle lightweight fabric is to hold the fabric taut so that one hand is holding the fabric just behind the needle, and the other is in font guiding the fabric into the machine. By pulling the fabric taut, you are creating rigidity along the fabric surface, which prevents it from slipping. Pull just enough to create a rigid tension on the fabric, but not so match that you’re going to affect the way it feeds through the machine. Doing so will affect your stitch, and make them inconsistent. -Make sure fabric edges are aligned. Because the fabric is more slippery, this is something you have to pay attention to. If you want to take extra measure, hand-baste prior to sewing the seam together. This can be don in place of pins to prevent the fabric from stretching and distorting as you sew. -To prevent slippage, you can sew with a strip of tissue paper along the seam, tissue facing the feed dog side. Once the seam is sewn, tear off the tissue. You can also use a stabilizer along the seam edge, such as a spray on starch. This will help you to manage the fabric during construction. -You can use a straight stitch throat plate which has small needle entry hole. This prevents the fabric from getting sucked into the needle hole. I’m super excited to announce that today on the blog, I’ve been lucky enough to have a chat with Kristiann – designer extraordinaire of indie sewing pattern company Victory Patterns. Kristiann first launched Victory Patterns in 2011 with the Eden Collection and the following year she released her second collection – Niagara. 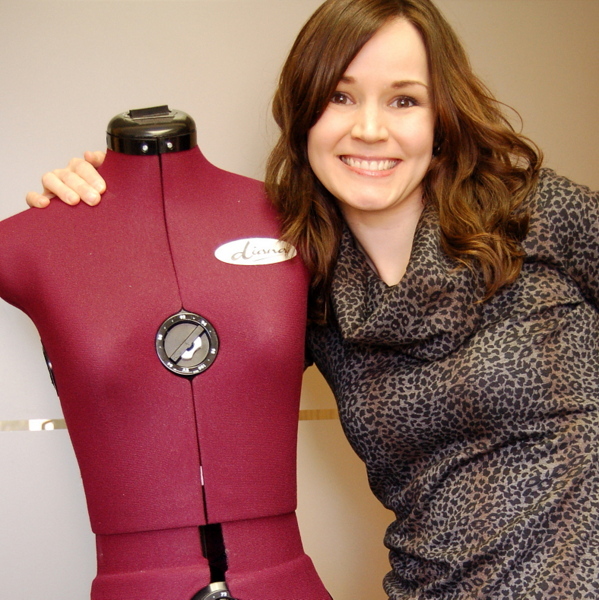 Kristiann is a entrepreneur, fashion designer and proud lover of her home, Toronto. Here is part one of our interview. You started out Victory Patterns by selling PDF downloads and this year you launched your paper patterns. Tell me how that felt for you? AAAAMAZING!! Seeing the patterns in print was super exciting! It made them feel more real to me. I originally wanted to create them in a printed format but once I considered the cost of production, it wasn’t feasible to start out like that. The best moment was when I showed them to my granny and seeing the look on her face when she opened the tissue pattern. She used to be a fashion designer so she’s really excited about this. It felt a bit like I was carrying the little torch that she started when she was young. My heart was singing seeing her face! Right now in New Zealand we are in the depths of winter and some of your patterns like the Simone and Nicola are quite summer-y. How would you dress them up for winter? I tend to wear dresses that are on the summery side throughout the crazy Canadian winter. There’s no way I could resist them for a 6-month stint! I dress it up with other weather appropriate layers and a good pair of warm tights and pretty boots. I’d say if you’re making one of these styles for the winter, fabric choice and color is important. You can find really amazing lightweight wool, crepe, chambray denim, etc. Something on the warmer side that still has a soft, light drape would be great! Colors can play a big part in pulling a style into a different season. I’ve made Simone in a black and white geometric print with black leather detailing and metallic cord piping. This gives the style a harder, more durable feel that I think works for colder weather. But it’s a really personal thing too. Pick colors that you like to wear for that season and fabrics that you feel good in and stay warm ladies! 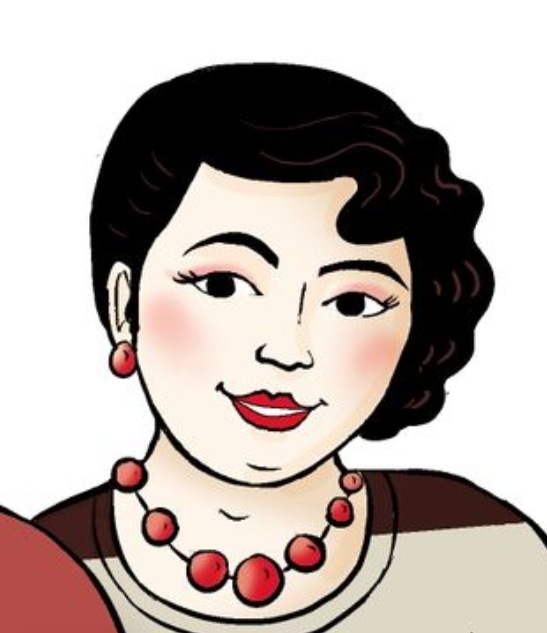 You have designed some lovely feminine dresses – what’s your design process? Where do you look for inspiration? I usually carry a sketchbook with me and for when ideas pop into my head. I go to the design, costume or art sections of the library and pour through books for visual inspiration. Sometimes I have a direction I’m leaning towards in terms of a theme or style aesthetic. I tend to know the general feel and style features I want the garment to have and I build the design from there. A lot of changes can take place once I start drafting and testing samples. The design can evolve after I’ve made a few muslin because sometimes things look great on paper and not so great in cloth. It can take few tries to get the right fit, balance, proportion, but it’s fun to play around. One of your dresses is called the Nicola. Could you tell us the story behind that dress? Nicola was a dear friend to my sister and I. 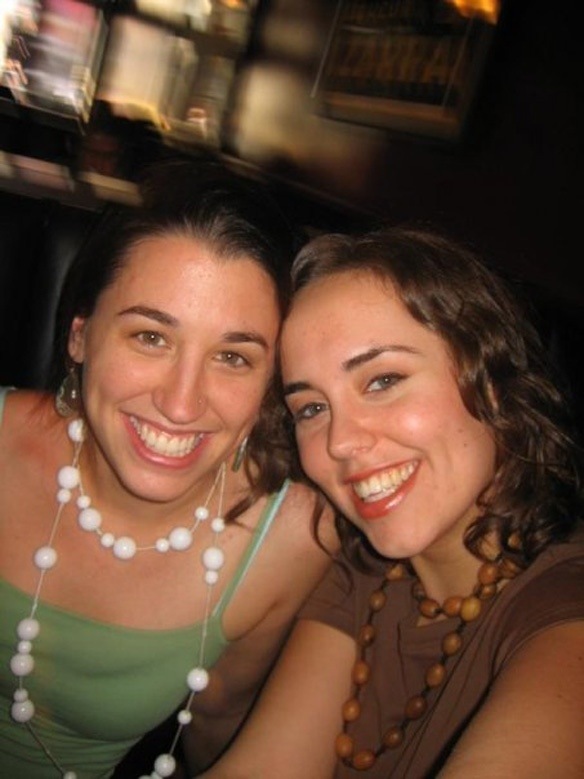 She was one of the most passionate, excitable, caring and life loving people I’ve ever known. Her voice was the sound of happiness and she had the best smile on the planet. It was impossible not to love her to bits. Tragically, we lost Nic at the age of 30. 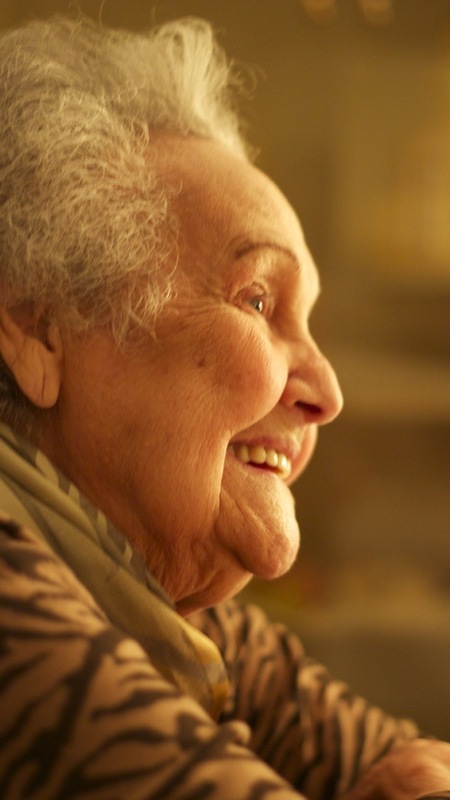 She left behind an incredible list of her life’s ambitions and dreams, and all of the people in her life that love her have carried on accomplishing these tasks in honor of her. One of the things she wanted to do was to learn how to sew, and I thought that dedicating a pattern to her was the closest I could come to helping her to reach that goal. Nic was passionate about making this world a better place, so I wanted to contribute a portion of her pattern to a charity. Her wonderful mom picked “Peace One Day”, as it’s a charity Nic really believed in. I sent a pattern to her Mom, Dad and brother, and they’re going to learn how to make it together for her, which warms my heart! We’re going to do some Skype sewing lessons! Recently I was also contacted by a customer who was inspired by Nic’s story and by the work that Peace One Day does. She’s now creating a charity event for Peace One Day. That feels amazing! Thanks so much for having me on the blog. I hope you love the patterns! StephC is the designer and boss-lady at indie pattern company Cake Patterns. Cake Patterns has risen quickly to prominence in the sewing community since it’s unveiling in July of last year. Steph’s first printed pattern, the Tiramisu knit dress was a runaway success. Since then she has designed and printed four more patterns – The Hummingbird and Pavlova separates, as well as the Cabarita and Bonny Sailor Riff t-shirts. StephC lives in Brisbane and blogs at 3 Hours Past The Edge of the World. These days you can download PDF patterns off the internet for less than the cost of a paper pattern. Why was it important to you to provide your customers with printed patterns too? Even though it’s relatively cheap and easy, most people don’t want to go to the trouble of printing and assembling their own patterns. It’s a personal preference. The market for PDF patterns is really small compared to the number of people who sew. In order for me to be able to make a job out of pattern design, I need to make paper patterns. I love your envelope art! You’ve chosen to have to have a diverse set of models which is unusual when you compare your range to pretty much everything else. 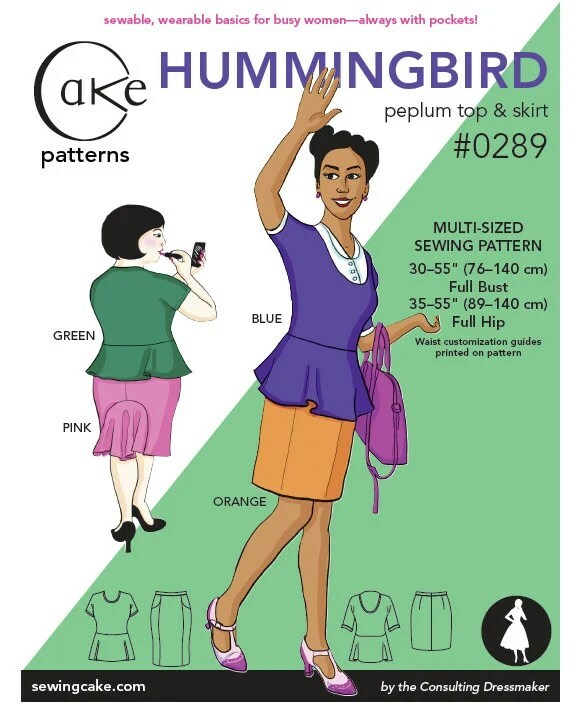 What does this say about Cake Patterns? Mikhaela (Cake’s cover artist) and I decided to work together in part because we have similar convictions about “beauty.” In the world we live in “beauty” has come to mean “outward appearance.” It seems only those people who fit into a narrow definition of what’s attractive can be considered beautiful. Neither of us buy it – we believe that the beauty standards of “thin, white, and young” are toxic and should be actively deconstructed. The “thin, white, young” ideal is in direct opposition to the world I see around me, beautiful women come in every size and shape and ethnicity. Anyone with eyes can see that. Our covergirls are our way of politely disagreeing with the status quo. Besides, we want our little girls to grow up with a richer idea of what it means to be a beautiful woman. Most of your patterns call for knit fabrics which can be a bit scary for budding sewing enthusiasts. What is the most important tip you have for sewing with knits? At the risk of sounding crisp, my #1 piece of advice for knit newbies is: Get over it. Forget about being afraid. t’s just fabric, it doesn’t have teeth and won’t explode if you make a wrong stitch! It’s OK to make a few mistakes, it’s not the end of the world. Nothing about knits is terribly difficult or mysterious: get a ballpoint needle, stabilize the shoulders, and gently stretch the binding when you go around curves. Use scraps of fabric to practice a new technique/ get your hand in the fabric. You’ll find the time you spend doing that is paid back in ease of sewing (not to mention the confidence boost!). Oh – and it’s not necessary to use a serger/ overlocker. It definitely improves the durability of the garment but it’s not a required piece of equipment. Is Cake Patterns your full time job? Would you like it to be? I don’t have another source of income, no. In fact, Cake has yet to be a source of income for me but it has paid for itself during the start-up phase. I have no debts but little else. I eat a lot of beans and learned to be very frugal! Cake work occupies most of my waking hours, I have to be careful to carve out family and personal time. Even then, I still spend between 8 and 12 hours a day working on Cake and sometimes more. Red Velvet is your next pattern. Can you give us any hints of what to expect? Well, I’m really looking forward to Red Velvet! We’re hard at work on it right now and I don’t want to give too much away but it will be really great to release a little collection of patterns all at once. Elements of the dress play through a little handbag, we have some sweet layering pieces, and a project I’ve been working on with my little girl. I can’t say anything else, though! We should have the Red Velvet Collection available towards the end of July.